Southland is set to stage New Zealand’s first UCI Tier One track cycling event which will carry vital world qualifying points. The event will form part of a week-long festival of international cycling, with the Oceania Championships to follow at the SIT Zerofees Velodrome in Invercargill. BikeNZ is partnering with Cycling Southland to stage the UCI Tier One event on 16-17 November with the Oceania Championships to follow on 19-22 November. Both events are part of the new regulations brought in by the sport’s ruling body, the UCI, and carry points for the 2014-2015 World Cups, which provide qualification to the World Championships and ultimately the 2016 Rio Olympic Games. “New Zealand must stage a UCI Tier One event each year,” said BikeNZ High Performance Director, Mark Elliott. “While this is an additional burden on our High Performance budget, on the plus side our riders will compete against for world class competition at home while cycling fans will see international track cycling every year. While Australia has already hosted the 2014 Oceania Championships, ironically staged in December last year, the new regulations mean a further Oceania Championship is required this year. Cycling Southland has taken up the challenge to produce two world class events, having hosted the Oceania Championships two years ago and the 2012 UCI Juniors Track World Championships in Invercargill last year. “After hosting the Junior Worlds last year, these events come at a great time for the sport and its fans across New Zealand and in the deep south,” said Cycling Southland Chief Executive Nick Jeffrey. BikeNZ will select their team for the Tier One event later this month. 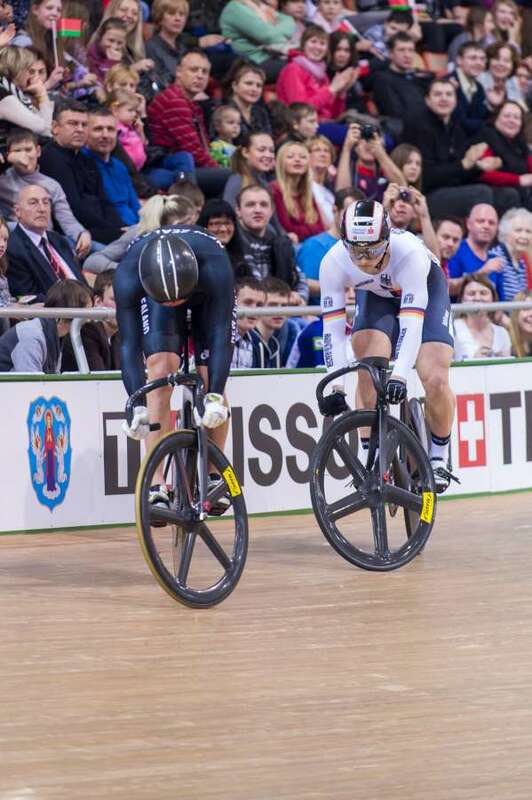 It marks a busy time for track cycling with the first UCI World Cup in Manchester on 1-3 November, UCI Tier 1 on 16-17 November, Oceania Championships 19-22 November and a World Cup in Mexico on 5-7 December.